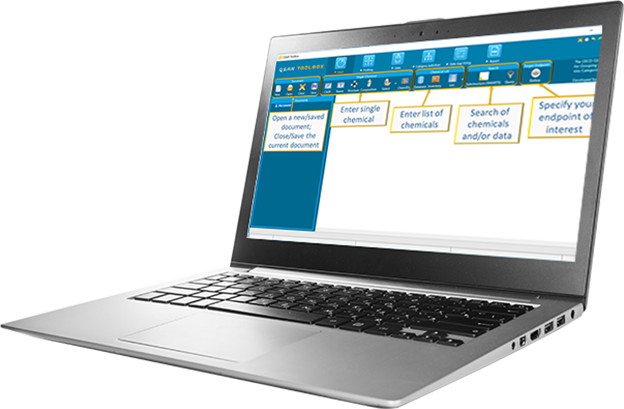 The “Input” module is the starting point for all consecutive steps of the Toolbox workflow. 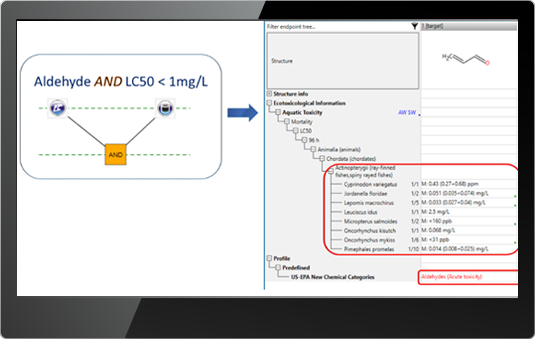 The first module provides different ways to specify the identity of the target substance as well as the property under consideration. 5. Customized search – searching chemicals and/or data within the Toolbox databases. One or more than one criteria combined with logical operators (AND, OR, NOT) could be used. 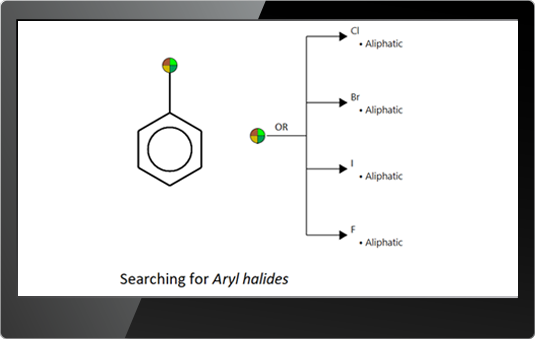 Subfragments – searching for specific part of the molecules using the SMARTS language – The SMARTS (SMiles ARbitrary Target Specification) is an extension of SMILES code designed to describe substructure patterns used for fragment matching www.daylight.com/dayhtml/doc/theory/theory.smarts.html. A special editor is developed to facilitate the users in writing SMARTS. 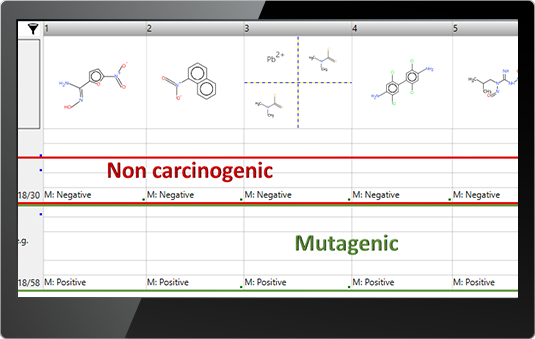 Profiling results – allows to search for chemicals having specific functionality or mechanisms according to a selected profiler.